The Abolitionist History season is starting early this year. First, the North Star Underground Railroad Museum at Ausabale Chasm opens Saturday, May 4, nearly a month earlier than usual, and sponsors its first tour of Underground Railroad sites in local towns. With the weather as warm as it is, and demand growing in each of the museum’s first two years, the early opening made sense. 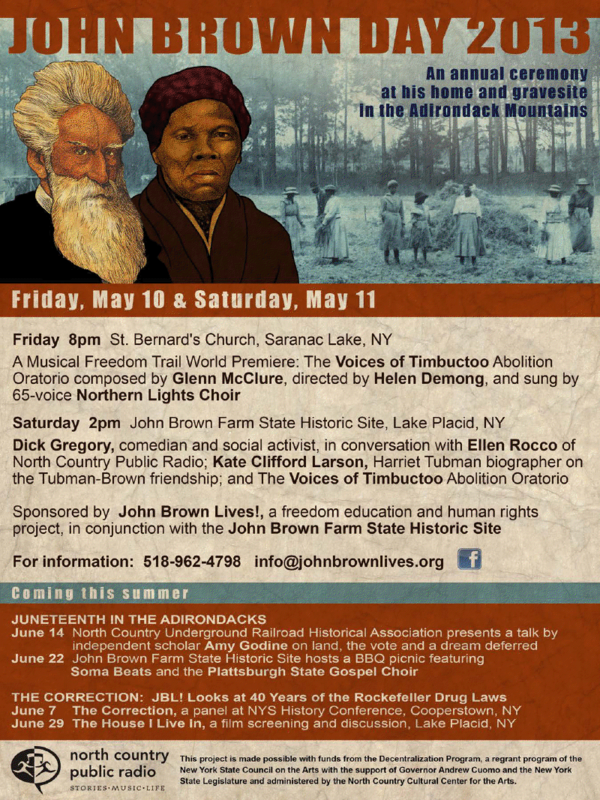 New York’s newest Underground Railroad museum kicked off its second season last week and will present a series of presentations this year entitled &#8220Hot Spots of Anti-Slavery Activity in the North Country,&#8221 supported in part by a grant from the Arts Council of the Northern Adirondacks. 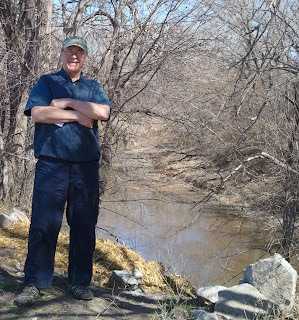 This Saturday and Sunday, June 2 and 3, there will be tours of Underground Railroad sites in Peru and Keeseville at 9:30, both led by Don Papson. There is a $10 fee- call 834-5180 to pre-register. Also, historic re-enactor Barbara Wass will portray Catherine Keese, the committed Peru abolitionist at 10 a.m. on Saturday and 1:30 on Sunday. Those events are free. On June 2, during Museum Day festivities, the Museum will present, &#8220The War Before the War,&#8221 about the radical abolition movement that responded to the Fugitive Slave Law and other pro-slavery leanings by the federal government leading up to the Civil War. Jane Williamson, director of the Rokeby Farm museum in Vermont, will illuminate the organizing efforts that mushroomed in Vermont and Northern New York. 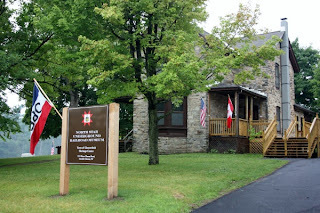 The North Star Museum first opened in May 2010, and drew over 4,000 visitors to the restored stone house overlooking Ausable Chasm, just a few miles from Lake Champlain. Education programs are offered for school children, both at the museum and in schools, and the museum shop boasts an extensive collection of books on slavery, abolition, the underground railroad and related topics. For further information, visit: www.northcountryundergroundrailroad.com.